Rising defaults on loans insured by the Federal Housing Administration (FHA) have led the agency to impose future policy changes to its home loan program. The FHA provides mortgage insurance on loans made by FHA-approved lenders. Borrowers must meet certain requirements established by the FHA to qualify for the insurance, but lenders bear less risk because the FHA will pay the lender if a homeowner defaults on his or her loan. 1. The FHA is federally mandated to maintain reserve funds at 2% or greater. As of November, the agency reported that its fund had declined to .53%. The funding is used to cover losses on mortgages insured by the FHA that go into default. 2. Loans insured by the FHA generally are less expensive to borrowers because of the lower down payment requirements. However, these loans also have fees, such as up-front mortgage insurance. To help the agency raise its cash reserves, the FHA is increasing the up-front mortgage insurance premium from its current 1.75% to 2.25%. HUD released a Mortgagee Letter today making the premium increase effective in the spring. 3. The agency is raising the minimum credit score requirements. Currently, borrowers with FICO scores as low as 500 have been approved for FHA-insured loans. Under the policy changes, new borrowers will be required to have a minimum FICO score of 580 to qualify for the FHA’s 3.5 percent down payment program. 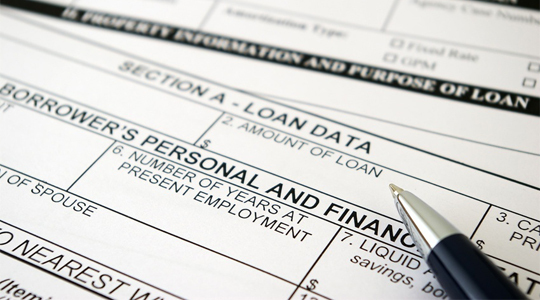 New borrowers with less than a 580 FICO score will be required to put down at least 10%. FHA expects this to take effect in early summer once it passes the normal regulatory process. 4. The new policy will reduce the amount of money sellers can provide to home buyers at closing to 3%, down from its current 6%, of the home’s price. The change brings the agency in line with industry standards and removes the incentive to inflate appraisals. The FHA expects this to take effect in early summer after it passes the normal regulatory process.